THIS COMING WEDNESDAY, Apple will announce the latest addition to its iPhone range. The iPhone 7 isn’t expected to be a major departure from last year’s device, but will change the existing formula in a couple of ways. And with every new iPhone is a new update to its software as iOS 10 will be released alongside it. Major updates to iOS usually appear around mid-September – iOS 9 arrived on 16 September so expect it to arrive at a similar point – and with this one refining iOS even further, here’s what you can look forward to. One of the biggest changes is how the lock screen will operate. Instead of placing Widgets in the same place as notifications, it now has its own section alongside the lock and home screen. Swipe left to right to bring up widgets while swiping right to left will open up the camera. It’s a small change but it’s better than the original system of swiping up from the corner to unlock the camera. The Control Centre has also received a redesign, changing it from one busy window into two. Bringing it up will present the usual quick settings for things like Airplane mode, camera and flashlight – the bottom buttons come with expanded 3D Touch options – while swiping right to left brings up the music player. The only remaining features are notifications remaining the same (unless it changes before the official release, you can only view them chronologically instead of by app) and iOS recognising certain apps in a specific context. For example, if you plug in your headphones, a Spotify app will appear in the bottom left-hand corner so you can open it directly. Taking some inspiration from some Android handsets, you can now wake up your phone and see notifications just by lifting it. A minor annoyance with the iPhone 6s was how well its fingerprint scanner worked. As you were likely in the habit of using your scanning finger or thumb to tap the home screen, it meant you would unlock your phone before you had a chance to see what new notifications arrived. Waking up the lock screen just by raising it isn’t a revolutionary feature, but it does help bypass the above problem. One of the flagship announcements of the iPhone 6s was the introduction of 3D Touch, a way to add quick options to the home screen and apps without complicating the interface. While it’s only been a year since it was revealed, the feature is still in its very early days, but iOS 10 does provide hints as to how this can be expanded beyond the usual quick options. Take photos for example. Originally, 3D Touch would bring up options for search, most recent, and favourites. Fine but not necessarily great options. Now it will include a widget of new curated albums based on location, making it more visual. It’s a small change, but it’s more inviting and it makes sense to throw widgets into an area they might be seen more. For what it’s worth, those apps which don’t have 3D Touch options will be presented with a share button, more so that people will be encouraged to use it instead of finding nothing of worth. A redesign of the traditional alarm app, it now comes with a new section called Bedtime. Effectively a sleep tracker, you set what times you want to be reminded to go to bed at and while you sleep, the app analyses your sleeping patterns. These are shared with the Health app on your phone. 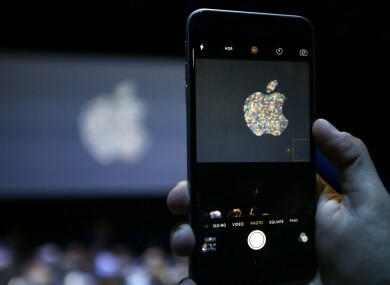 With the likes of Google Photos now using algorithms to compile our lives and create new photos and albums for us, it’s probably no surprise that Apple is doing the same thing with Memories. Depending on the number of photos you have saved on your phone, it will take a bit of time for it to analyse and group your photos but once it does, you have access to more resources. Swiping the photo up will bring up more info like faces, location and the option of grouping more photos (if you choose a face). A feature specifically for Apple Maps, once you’ve parked somewhere, your iPhone will make a note of the location so you can find it later. Handy if you’ve had to stop in a large car park and can’t quite remember where you left it. There are a few major changes to the messaging format. The biggest one is the inclusion of new apps specifically for the keyboard. Think of how the likes of Facebook Messenger integrate third-party apps into its service and you have an idea of what to expect. Other additions include an easier way to take and attach photos quickly, and smaller features like the ability to highlight and change all words that can be turned into an emoji, send messages with effects like invisible ink, and include animations like confetti, balloons or a shooting star. The keyboard is also smarter too, and from our time trying it out over the last few weeks, it’s better at predicting what you want to say, making typing faster. And if you type a word that corresponds with a emoji, it will appear in the suggested words box. Instead of throwing them into a folder and away from your main apps, you have the option to remove them from the home screen. Note we say remove and not delete as if you go the App Store and reinstall them, they appear immediately. Apple says those stock apps only take up less than 150MB of space, so if you’re looking to free up space, you should look elsewhere. Email “These are the ways your iPhone will change when iOS 10 arrives”. Feedback on “These are the ways your iPhone will change when iOS 10 arrives”.